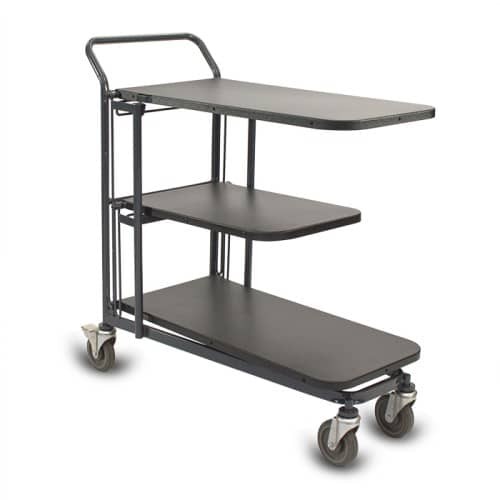 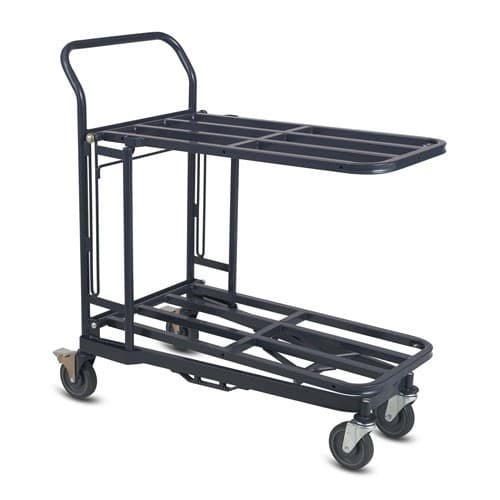 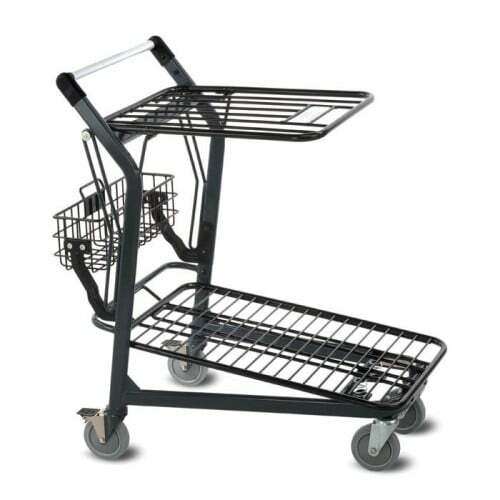 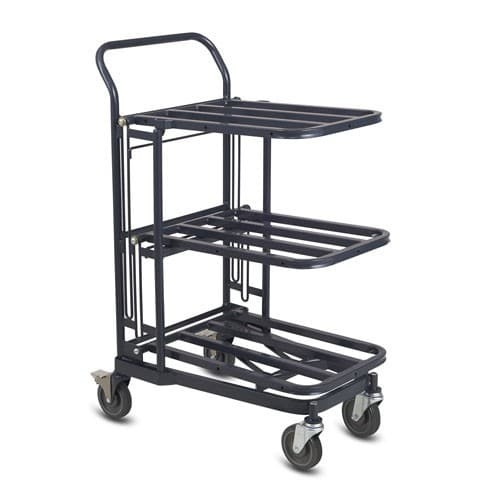 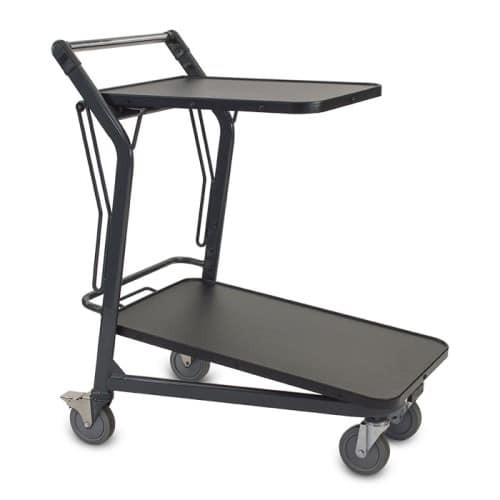 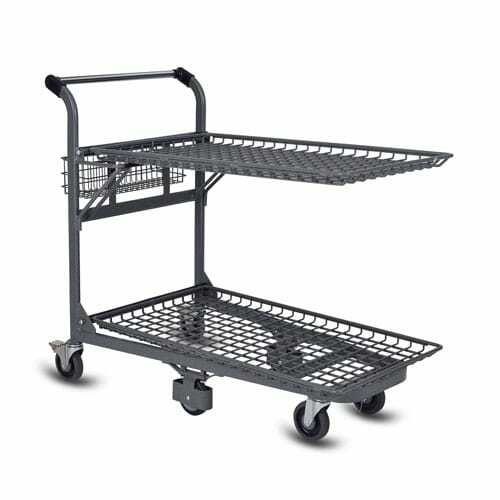 If you like this cart, check out this similar style stocking cart, the EZtote®9600 by clicking here. 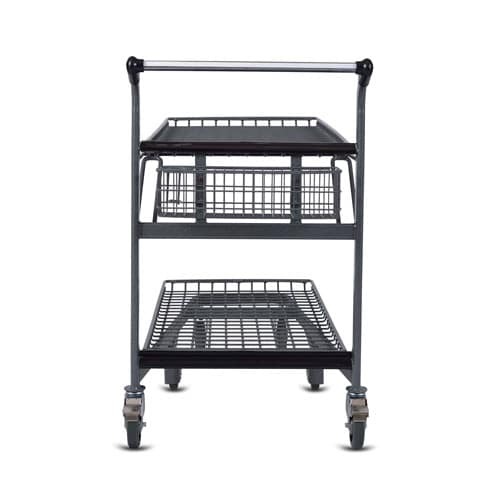 The EZtote®4240 nesting stocking cart is specially designed to fit four large stocking totes and it nests, taking up less space when not in use. 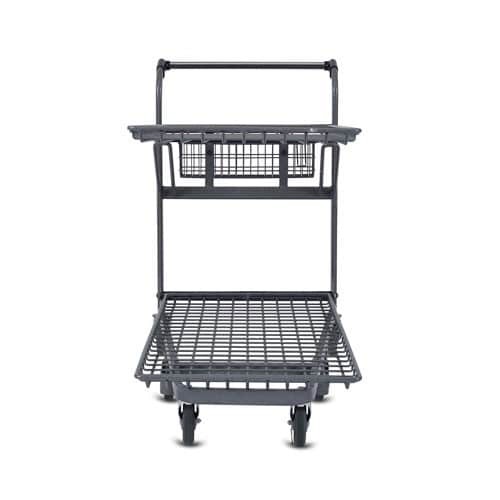 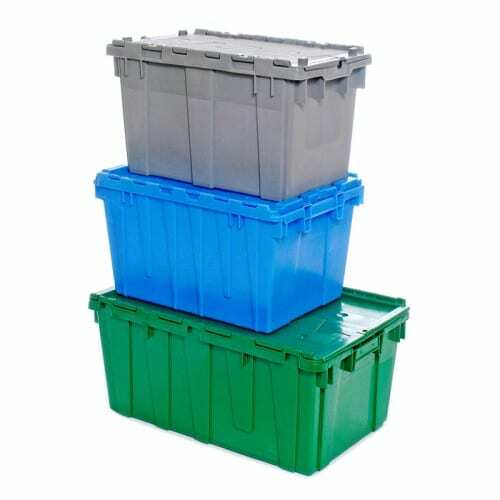 Raised edges on shelves help keep totes in place while the cart is in use. 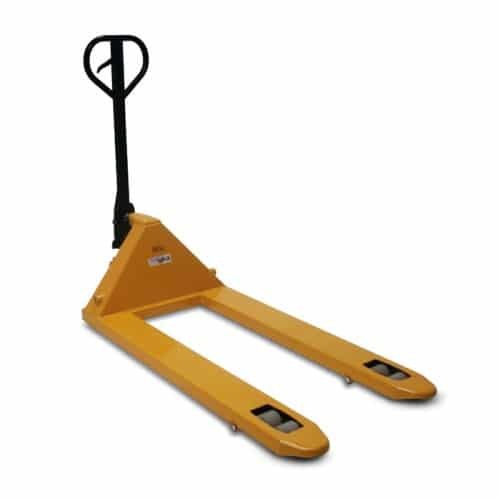 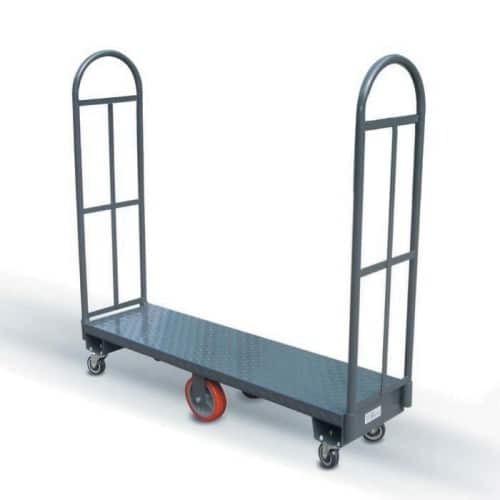 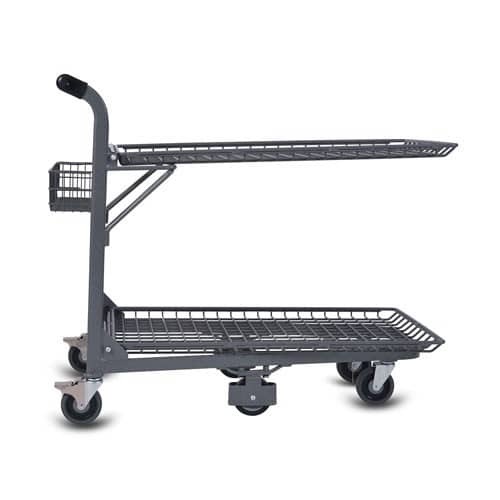 It is available with center wheels to facilitate turning, making the cart easier to maneuver when loaded.